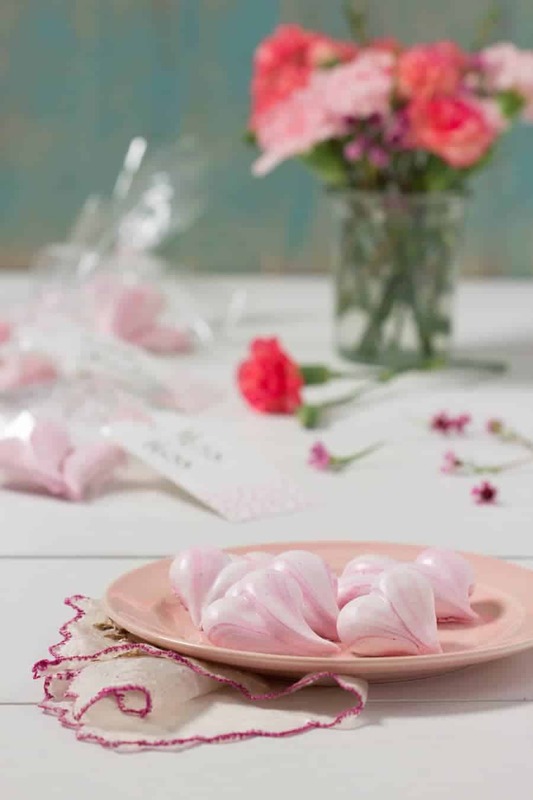 Super impressive, super cute, and fantastic as Valentine’s day gifts for your faves, these Meringue Heart Cookies will make everyone’s day. 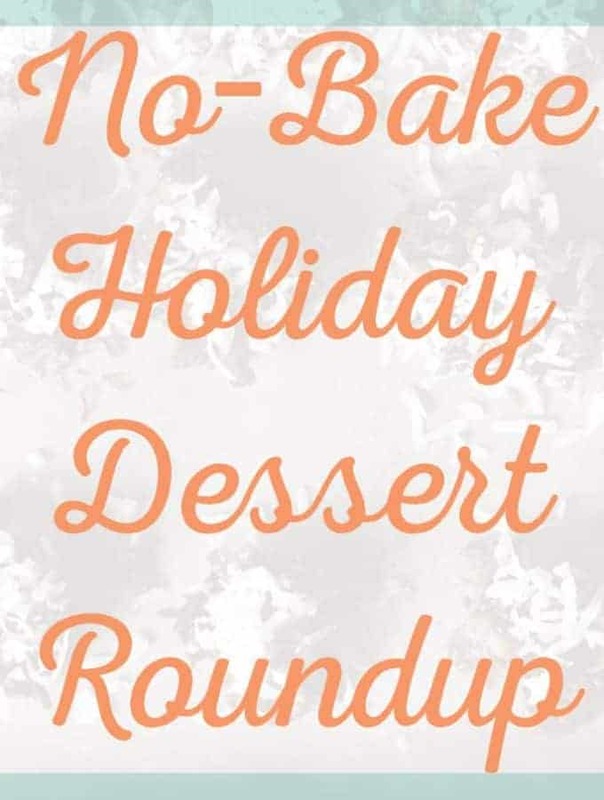 As a vintage recipe lover, just like me, you know that there is a series of cookbooks by Betty Crocker herself (more like the staff of General Mills since Mrs. Crocker was never real……hope I didn’t destroy your world with that tidbit!). 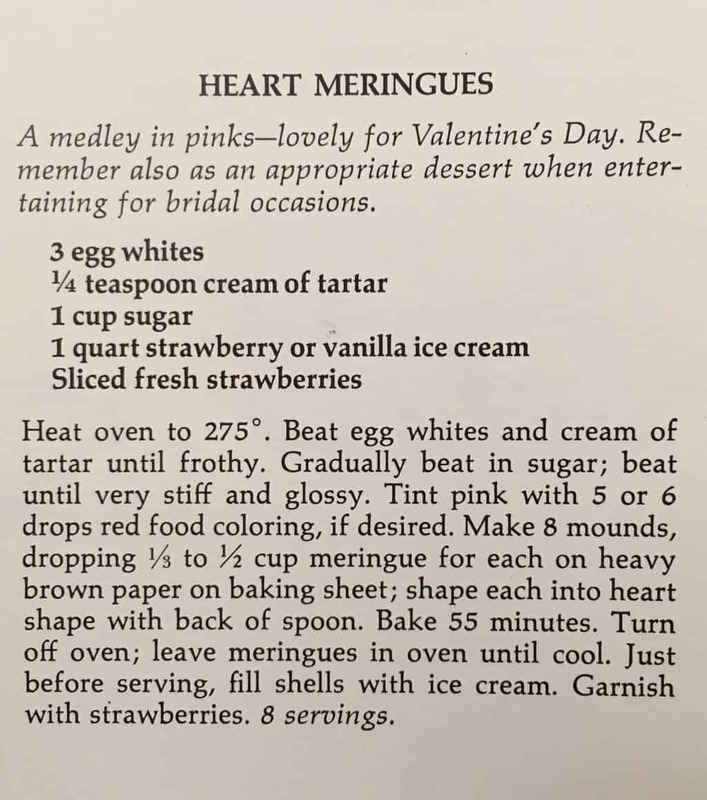 Anyway, these Meringue Heart Cookies are inspired by a recipe in Betty Crocker’s 1967 cookbook called “Betty Crocker’s Hostess Cookbook.” In the Valentine Luncheon section, not only does Betty recommend serving Heart Meringues filled with ice cream and berries, but she also suggests making Lobster Newburg and a Valentine Cake. Inspired by her ice cream filled Heart Meringue recipe, I decided to make these super cute Meringue Heart Cookies. 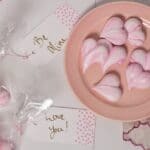 The original recipe sounded yummy and perfect for a luncheon, but I figured that making individual Heart Meringue Cookies would be way better for the retro-loving lady who just wants to spread a little love to her friends on Valentine’s Day. You can obviously make a beautiful platter of these crispy, sweet cookies, and leave them in the break room. Totally acceptable and so many people will be happy with your little gift of love. 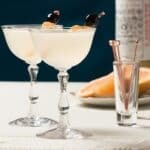 Now, for those of you who are really into food history, there is a very cool timeline on NECCO’s website detailing the events which lead to merger and success of the candy company. I’ll be there learning as much as possible, and I hope you join me! 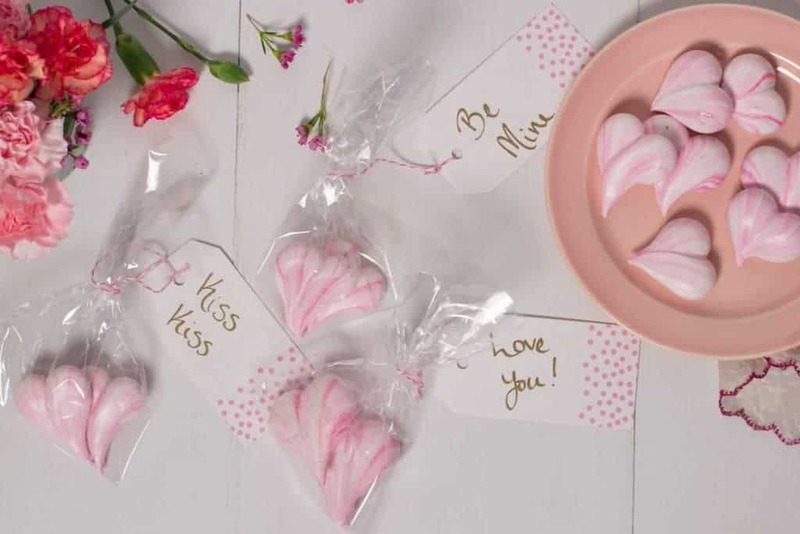 So, tell me…are you going to skip the timeless candy convo hearts this year and make some personalized Meringue Heart Cookies instead? If you do, make sure to post a pic on the Cup of Zest Facebook page! 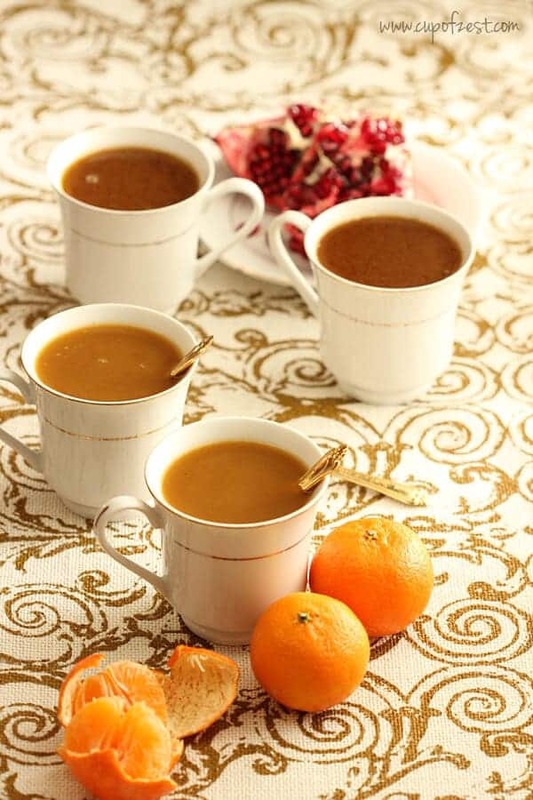 Hope you all have a great day with lots of love, and make your day a little sweeter and warmer with my Salted Hot Chocolate…you’ll love it. -Make sure your egg whites are at room temp before using. The best way to do this is to separate the egg whites and allow them to sit at room temp for 30 minutes before using. 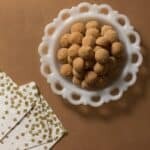 -If you’ve never made meringue before, check out this tutorial by The Kitchn, it’s really good! -If you want to bag the cookies up to hand out as gifts, make sure to allow them to cool completely! Any condensation will melt the cookies, which would be super sad. 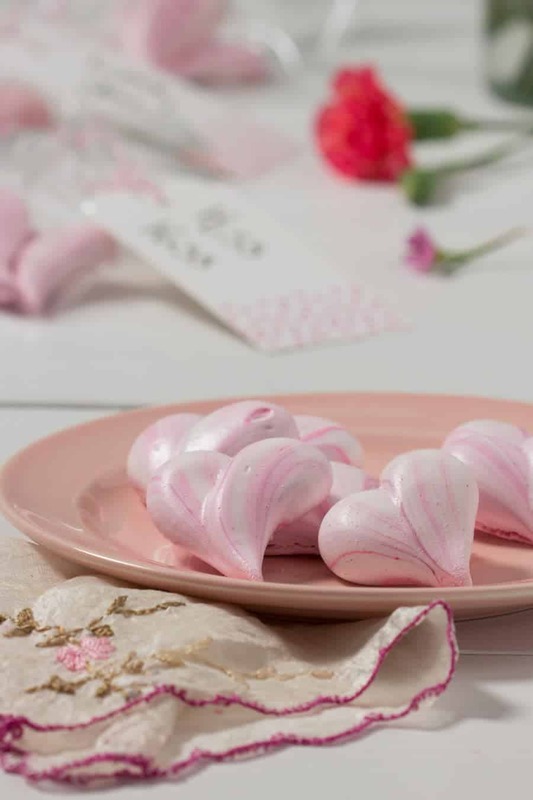 -Try to make these Meringue Heart Cookies on a dry day. Humidity is not ideal for making meringue. Preheat oven to 200 degrees and line two baking sheets with parchment paper. 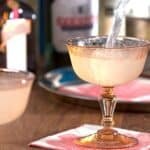 Combine egg whites and cream of tartar in the bowl of a stand mixer. Gradually beat in sugar. Continue to beat until stiff peaks form, about 15 minutes. If you like, swirl a few drops of food coloring. Transfer to a piping bag fitted with a plain round piping tip. To make the hearts, pipe two small upside-down teardrop shapes with the sides touching. Repeat with the remaining meringue. Bake for 1 hour, until the meringue is dry, can be lifted easily from the parchment, but not yet browned. Then turn off the oven. Leave meringue in the oven to dry out until the oven is cool. This post contains affiliate links to products on amazon and I will receive a commission for any items purchased through the links. “Necco – An American Classic.” NECCO® – About. Accessed February 09, 2017. http://www.necco.com/about.aspx. 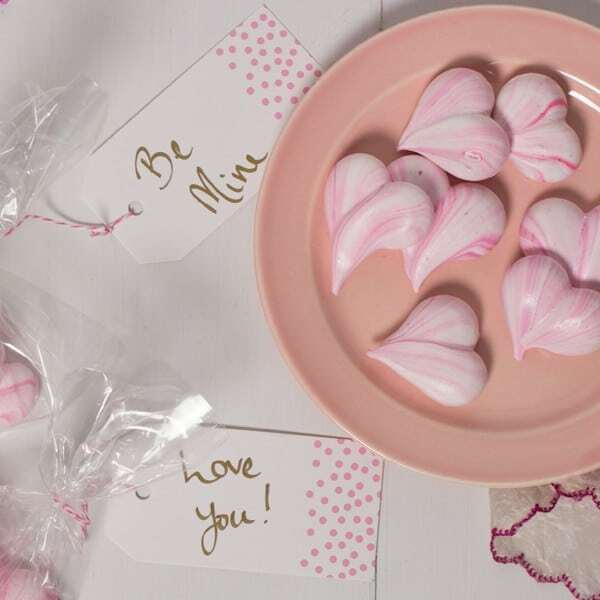 “Necco – An American Classic.” NECCO® – Sweethearts. Accessed February 09, 2017. http://www.necco.com/Candy/Sweethearts/History.aspx. Hi, Michelle! I was wondering if it’s possible to add any flavoring to the cookies. I’ve never made meringue before, but I feel like I’d want a little “something extra,” like some almond extract or maybe some rosewater. Is that a bad idea? Should I leave them alone? 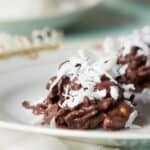 You can absolutely add some fun extracts to meringue. I’ve seen other recipes call for 1/4 to 1/2 teaspoon of extracts like vanilla or almond. I’m sure either would be yummy in these cookies! You do want to stay away from anything too watery or any oil based flavors.